Yesterday I attended a special Google Fireside Chat at Branding Personality. Google has relationships with over 90,000 agencies but only 1,400 were chosen to host and share this event with clients, colleagues, and partners. The first speaker shared a great project with us. Google took several iconic ads from the 1960’s and 1970‘s and, with the original directors, reimagined them for the digital age. We saw the “I’d like to buy the world a Coke” ad – the young people on the hillside, singing in unison, evoking peace and kindness. How did they reimagine the ad? With a new app where one can actually send a free Coke to someone and send a message. When the person receives the Coke, their reaction is videotaped, and they can send a message back to the person who sent the Coke. After watching this video about how technology can and does bring people closer together, John Nicoletti, Director of Agency Development came on to talk about the Zero Moment of Truth and how it’s changing the way consumers make purchasing decisions and how it’s forcing companies to rethink their marketing strategies. Google started with Proctor & Gamble’s “first moment of truth” – the moment when a consumer encounters a product. 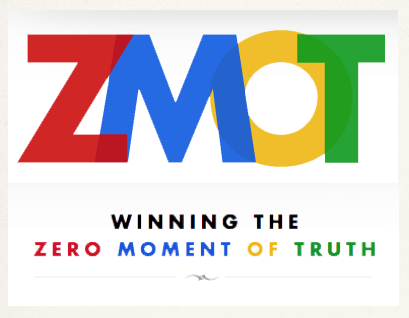 From their research, Google discovered what they call the “Zero Moment of Truth.” This is when consumers do online research after receiving a stimulus (in the form of commercial, print ad, or seeing the product in stores). Instead of taking 4-7 seconds to decide to buy, they instead take that time to take out their phone or tablet and research the product. They look for product reviews and user recommendations. They look at the website to get as much information as possible to help them in making a decision. Google shared some data valuable to those in marketing, social media, and product design. In 2011, 70% of women surveyed had researched products before going to the store. 83% said they consult review sites and user ratings before making a purchase decision. Shoppers use several sources to research and process information about products they’re interested in. This means that shoppers have more information than ever before. This means that companies need to stand out more among the numerous ads, apps, and commercials. Put someone in charge: Have a point person for your branding and online marketing efforts. Regardless of whether or not you’re doing it in-house or with an agency, there needs to be someone who is managing the work and mapping out the moments that matter to consumers. 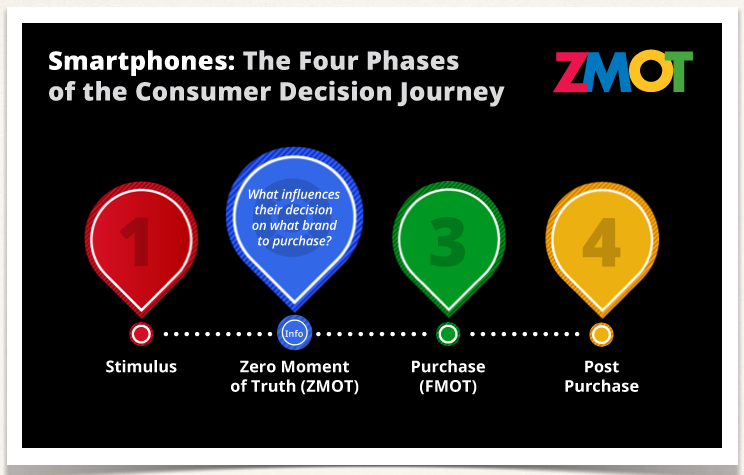 Optimize for mobile Zero Moment of Truth: More and more consumers are doing product research on their cell phones. Make sure your website is easily viewed and navigable. Win with Video: Videos have a powerful effect because they incorporate sight, sound, and motion. Videos done the correct way give the viewer the stimulus and emotions required to be inspired to purchase or advocate your product. Google has a website where you can get more insight to the Zero Moment of Truth and the implications it has for business, marketing strategy, product development, and really, the way we live. Lori Johnson blogs about marketing, customer experience, and strategy for Branding Personality. She has an MBA from Chapman University.